"Creating a unique flavor for each dish is no easy task. Take the cheesecake for example - a classic cheesecake has a little bit of lemon to really bring out all of the flavors in the creamy texture. 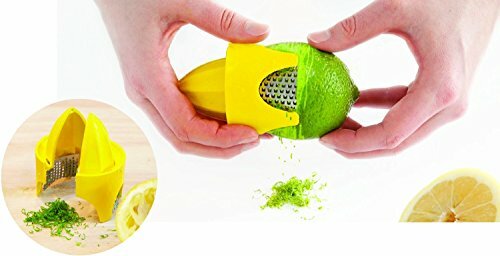 But you can't use any old tool to get a good cut of lemon. You need something that can give you precision and reliable performance. The Talisman Designs Citrus Zester and Reamer for Lemons and Limes does just that. 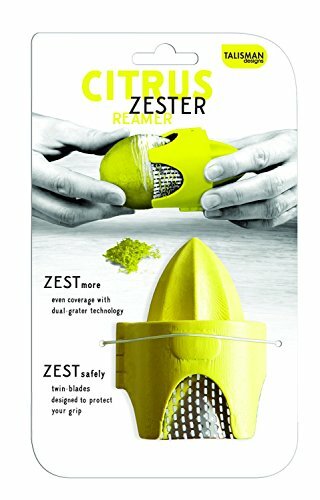 With its unique shape, zest your rinds quickly and efficiently with the use of sharp holes in the head. With a cutting edge that is also made of stainless steel, make micro cuts to speed up the process while maintaining a steady level of performance. Use this to create an accent piece of rind to garnish your dessert or entrée for a professional and elegant look. "